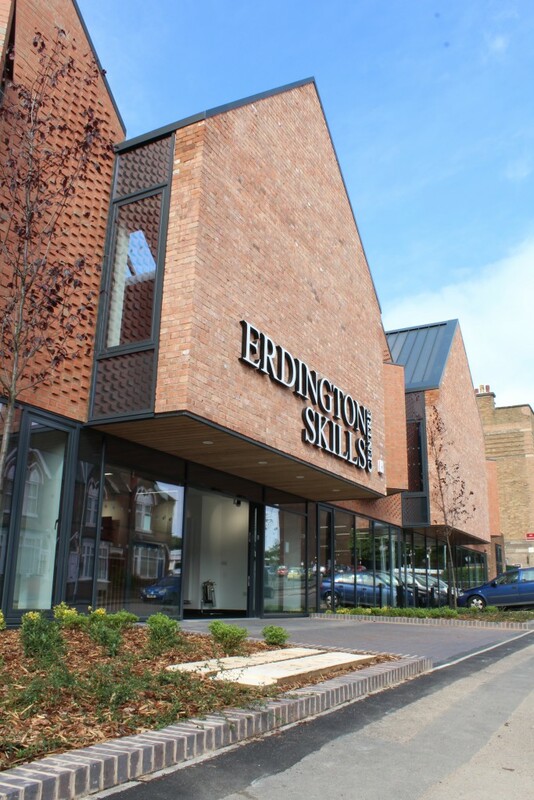 Redevelopment of Birmingham Metropolitan College’s Erdington campus into a new state-of-the-art training facility. A mix of Edwardian and 1950’s buildings, which used to be the former Erdington Technical School, have been replaced with purpose-built classrooms and workshops. This £4m training facility has been designed to teach specific skills across a range of construction trades, as well as providing training rooms with enhanced teaching technology. A conscious decision was taken to align the scheme to the residential scale on the frontage by breaking the massing down into a series of gables which picks up on the rhythms of the nearby terraced houses. The building balances the residential typology with the typology of the High Street by providing a glazed facade at ground level to provide an active frontage, essentially acting as a ‘shop window’ for the college. 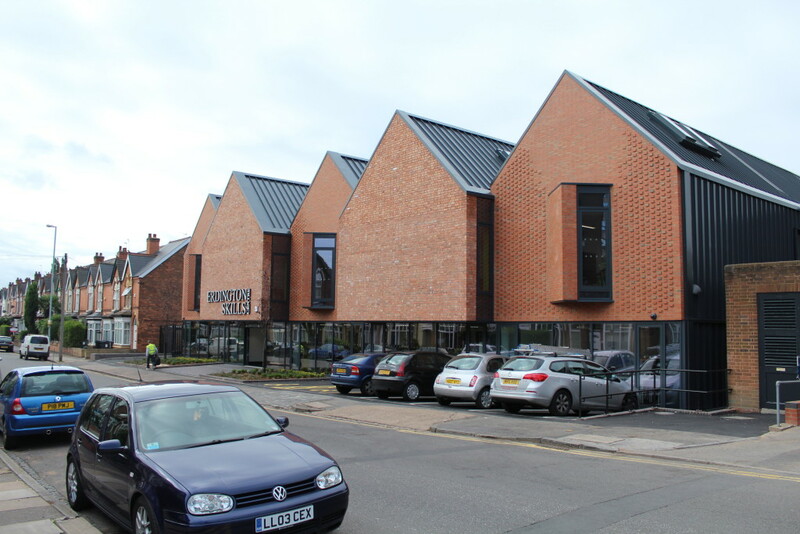 Two of the new gables re-use the Edwardian bricks from the demolished buildings and are laid to create a textured brick facade, highlighting the construction skills associated with the college. 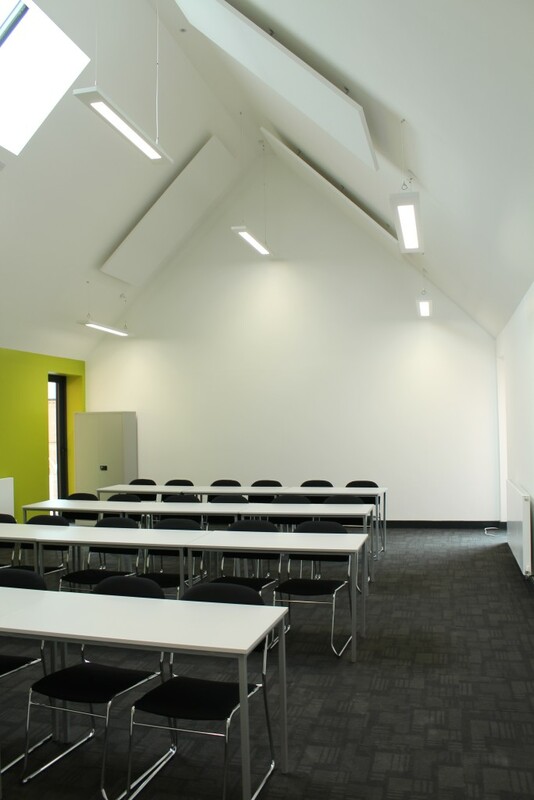 The remainder of the building is wrapped with standing seam metal cladding to the walls and roof, with roof lights providing enhanced day lighting to the teaching spaces. 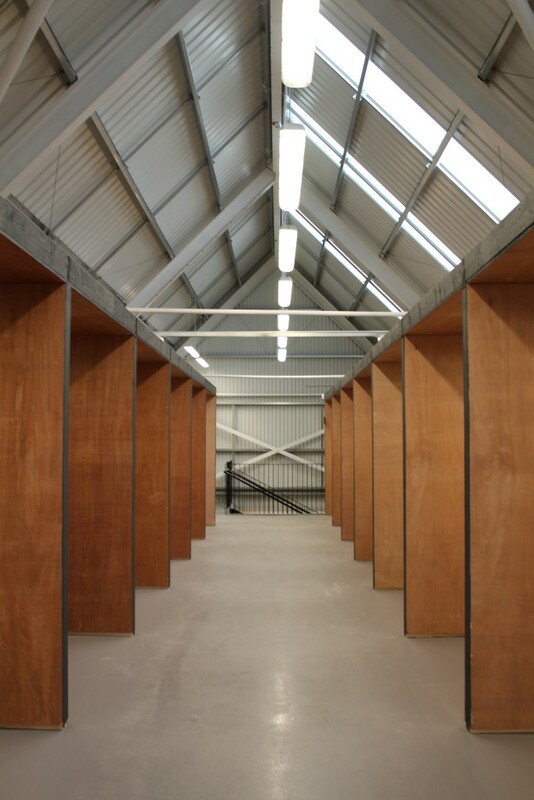 The interior has been designed to be robust and continue the theme of ‘construction’, with exposed steelwork, concrete floors and stained OSB timber pods, creating individual training spaces within the volume of the workshop.